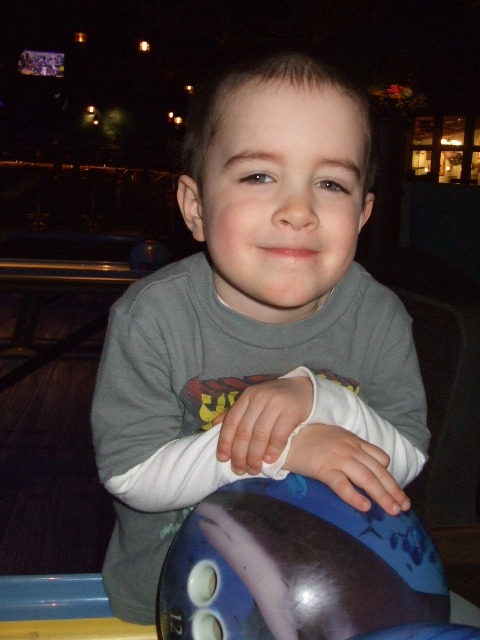 Today to celebrate L’s birthday, we went bowling!! 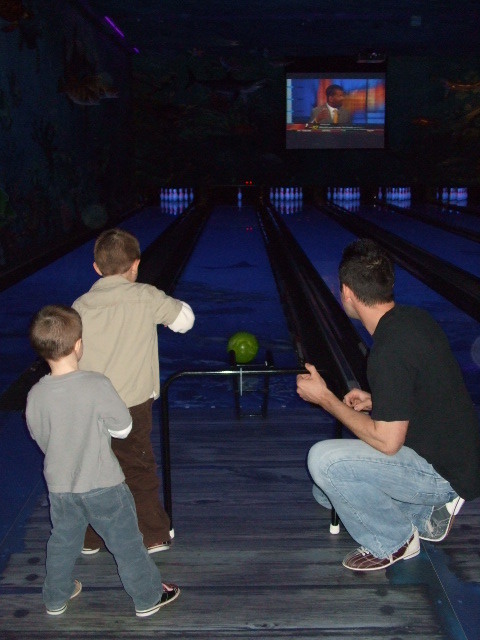 We’ve been Wii bowling since Christmas, but this was the real deal. 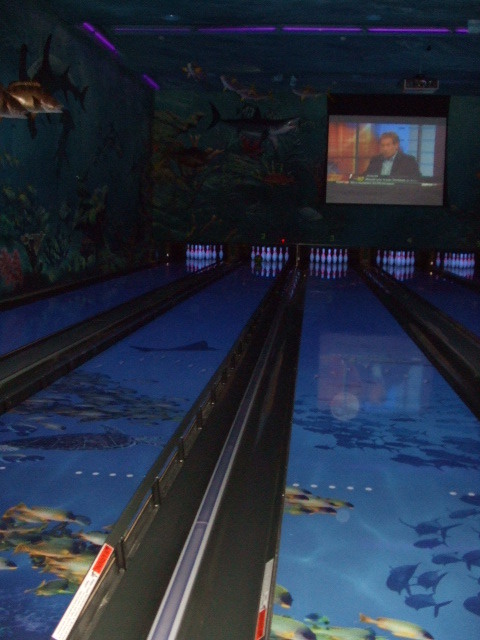 The Bass Pro Shop has an amazing bowling alley (not to mention that the whole store in general is way cool for kids even if you’re not into fishing or hunting-which we so are not). Just hanging out waiting for his next turn. 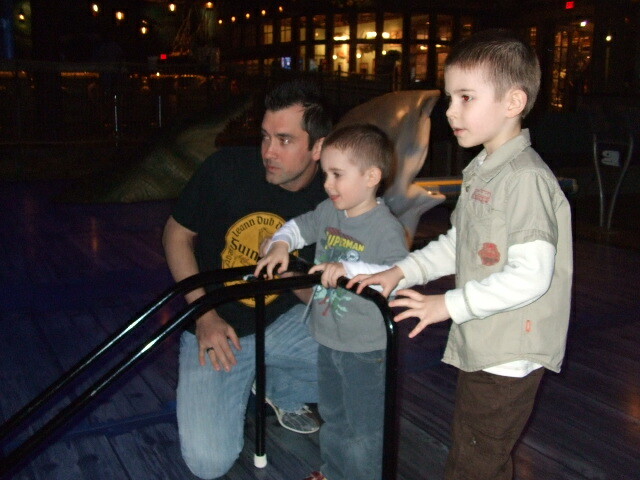 It was fun doing something different and the boys had a blast. I had also been concerned about how Gav would deal with this. 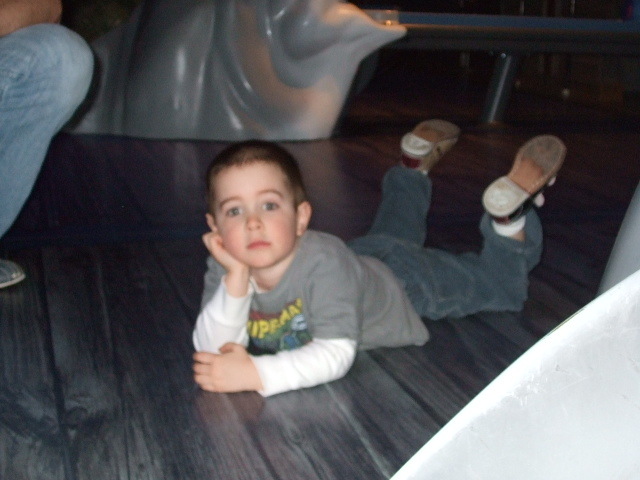 We had been to Bass Pro Shop before to check out the animals and fish so he was familiar with the bowling alley. When we told him we were going to go back to bowl today he was more than ecstatic. 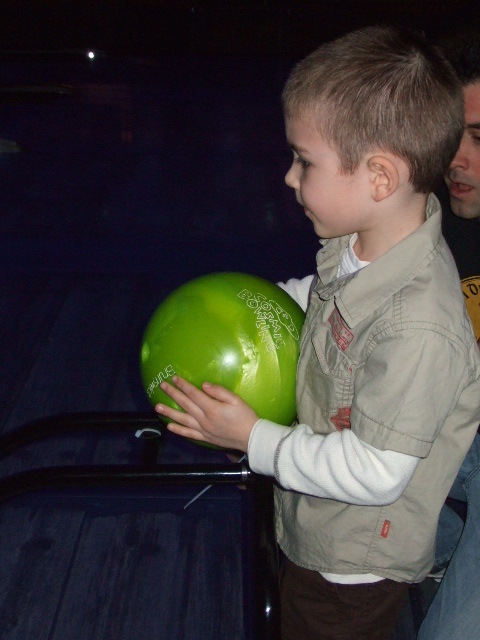 We were the only people bowling so it was relatively quiet (except for the blaring country music) and he did not have any issues where he seemed to be overwhelmed or overstimulated. Everyone had a great time and it was a memorable day! We’ve entered another season of changes around here. Not bad stuff, just different for our family. It seems like we’ve been in changing times for a while now. Here’s to hoping that this spring is calm and quiet. Oh wait. Who am I kidding?? I live in a house with 4 boys and a puppy. 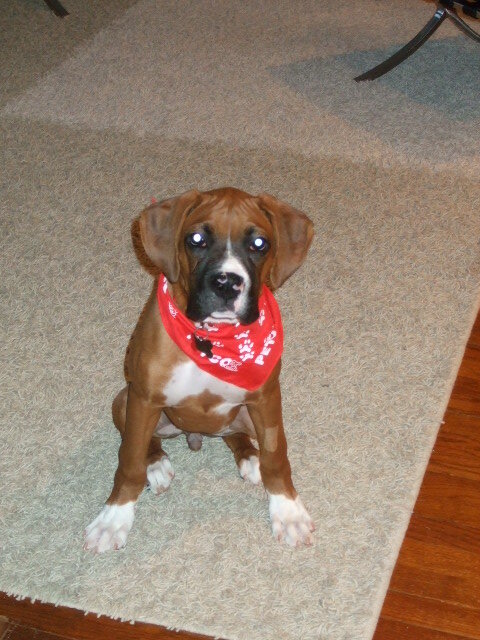 Tank (or “Tank the Dog” as Liam calls him) joined our family Valentine’s weekend. He’s been a REALLY good dog so far and I’m keeping my fingers crossed that he stays that way! He’s great with the boys and they are having a blast taking care of him. I’m anxious for spring when we can be outside for longer than 10 minutes and take him on walks and go visiting our other dog friends in the neighborhood. (Tank was already named when we found him at the shelter and poor TATE-he always looks bewildered when we have to yell at the dog). Josh also changed his schedule at work so he’ll be gone most evenings now. While that sounded awful at first, we realized that he will see the boys for 6 hours a day now instead of the 3-4 when he was working his other hours. Not a bad thing, just a different schedule which will take some time to get adjusted to (it’s all me for dinner, bathtime and bedtime). We’ve decided to start having big family lunches before he goes off to work so we can still have a meal together as a family. Then at dinnertime, when my boys are usually not their happiest, I can just fix something easy and quick. And it’s SO nice having him around more so I can run errands and do day to day stuff without having to drag all 3 boys around. It’s been great! 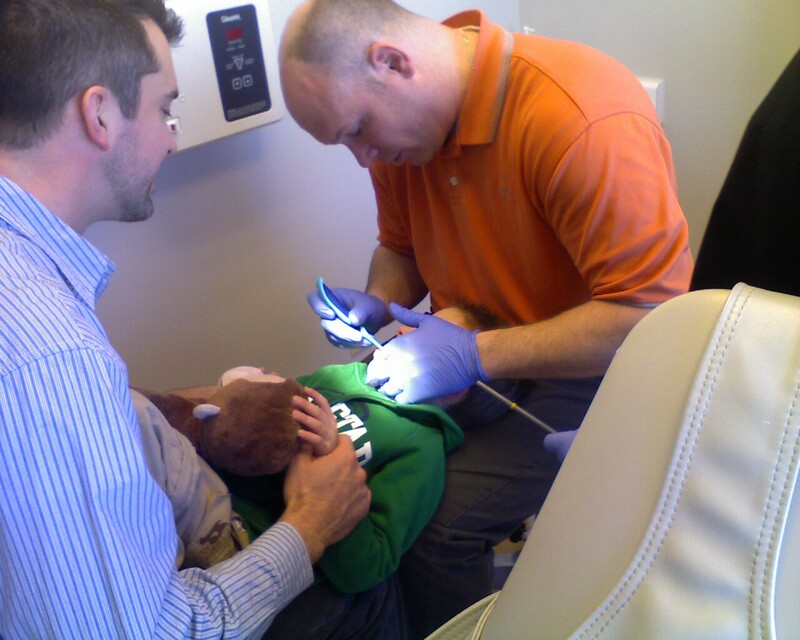 And, our big excitement this past week was that Gav and Liam went to the dentist for the first time. 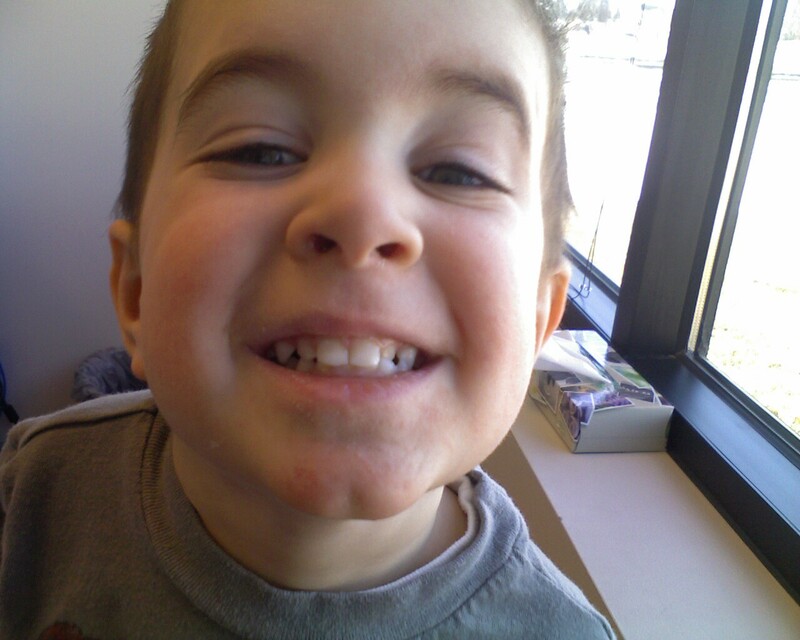 (I know, Gav’s 5-he should have seen the dentist years ago). Here’s the thing, Gavin doesn’t like to lay on his back, he doesn’t like loud noises, he doesn’t like people in his mouth (who does really?) and he’s always very apprehensive about new things. So you can see why I’ve been putting this off. And, it pretty much went as I guessed it would. We’d spent weeks before the appointment talking about it and reading books about going to the dentist. We had Liam go first because he was excited and I knew he wouldn’t have any issues. 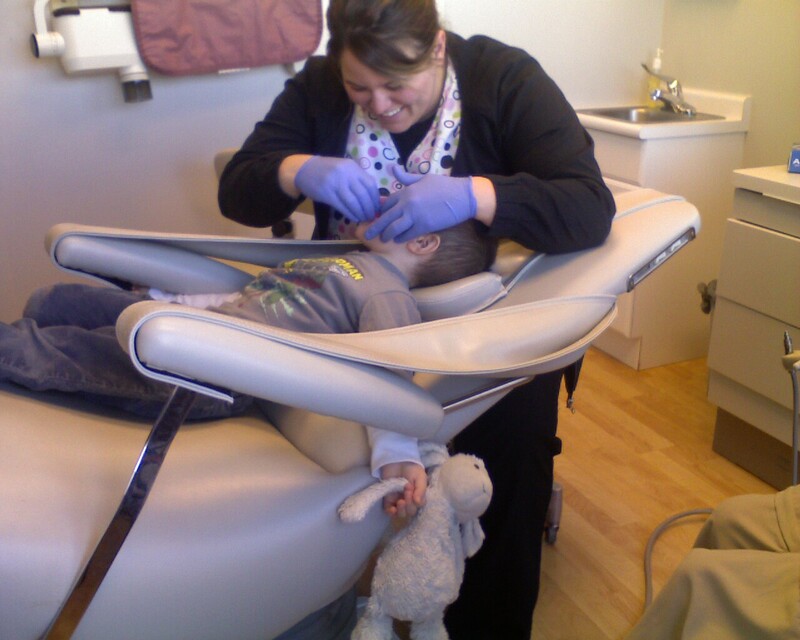 Gavin was really happy to watch Liam get his teeth cleaned, but the minute the nurse made Gav lay back in the chair, he started getting really upset. It ended up that Josh (thank goodness he came with us) had Gav laying in his lap while the dentist had Gav’s head in his lap. Through all the screaming, he was able to get a good look in his mouth and cleaned his teeth super-fast. I doubt we’ll be going back for their 6 month cleaning (seriously, they’re just baby teeth)……maybe we’ll try again in a year.